Soft metal foils take on high detail from tools, easily cuts with a scissors & can be drawn on, embossed o r stamped to create raised designs. 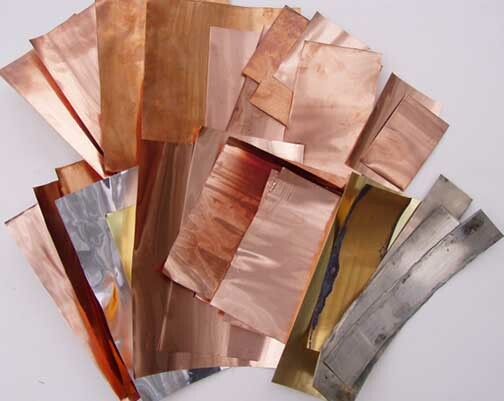 This Copper Foil is the traditional thin sheet metal for Tooling, Embossing & Fine Craft. 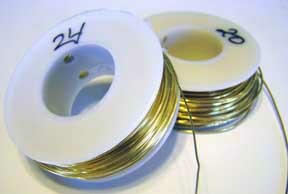 Aluminum, Colored Aluminum and Brass foils provide interesting alternatives to traditional copper tooling. Tooling is the process of creating designs in sheet metal by emboss drawing, stamping, denting, piercing, rub-transferring, folding and hammering. The standard thickness for this is 36 gauge - 5mil sheet metal which is several times thicker & stronger than household foil. 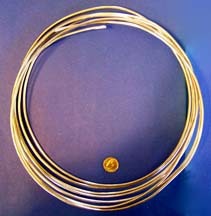 37 & 38 Gauge is often used and is slightly thinner. 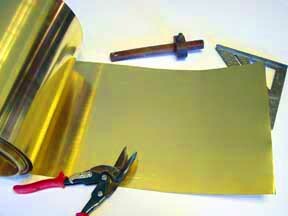 These foils are available in Copper, Brass & Aluminum. They are the traditional thin sheet metal for Tooling, Embossing & fine craft work. 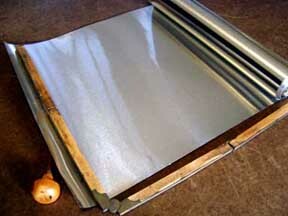 This solid raw metal sheeting has a satin surface that can be finished as desired. Copper has been a metal of choice since the bronze age as it is soft and stretchable, it takes impressions well and is less expensive than the other soft metals such as gold and silver which have similar tooling properties. 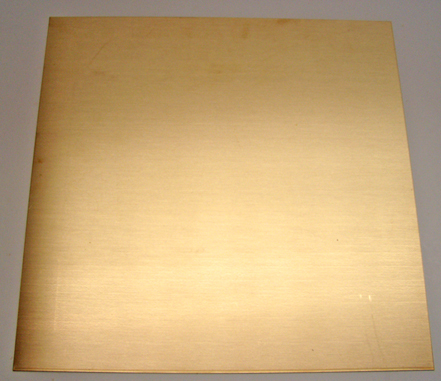 Brass which is an alloy of copper and zinc which, while being a bit stiffer, tools well, is more tarnish resistant and has a wonderful golden color. Aluminum is a newer addition to the tooling metals. Even though it can be very soft it doesn't stretch as much as copper but works well if care is taken. The easiest metals to hand tool are thin and conform to shaping and embossing with little force. The most common thickness is .005 thick also known as 5Mil or 36 gauge. 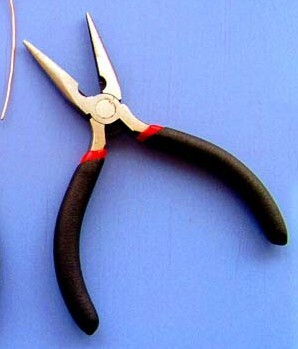 It cuts easily with a scissors or utility knife. Of course, thicker metals can also be tooled with the use of greater force, mechanical presses, etc. The 36 gauge is much thicker and stronger than household foil. Standard household foil is more than 7 times thinner at .0007 inches thick. Tooling metal is also soft and workable, less brittle. Stiff metal gives the illusion of being thicker as it is instinctive to think metal that bends less is thicker. Bending has more to do with what metal it is and the- or softness and hardness (temper) of a metal than the metal thickness. Our Aluminum and Copper tooling metal is the softest. Brass tooling metal is slightly stiffer and a piece of this feels thicker even though it is the same thickness as the copper and aluminum. Tooling metal is shipped in a roll. If necessary ripples or curves can be flattened by rolling it with a smooth rolling pin or plastic pipe section on a completely smooth surface such as a countertop or glass table. The tube we ship our craft metal in works well too! The pointed and blunt stylus shown are for drawing, the flat spatulas Shown are for flattening and the curved tool ends are for raising metal. Hint: Rubbing wax paper lightly across the back side of tooling metal will make tools glide more smoothly when tooling from the back of a piece. This is especially helpful when doing fine drawing. Don't do it on the front as it will affect the finishing or patina of a piece. The finished piece can be easily colored or darkened with prepared patinas. 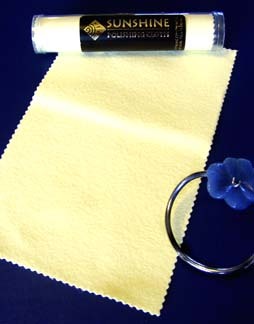 A similar effect can obtained with paint or stain that has been brushed on and then wiped off. Subsequent buffing of the high lights with an abrasive pad can give and 'antique' look. 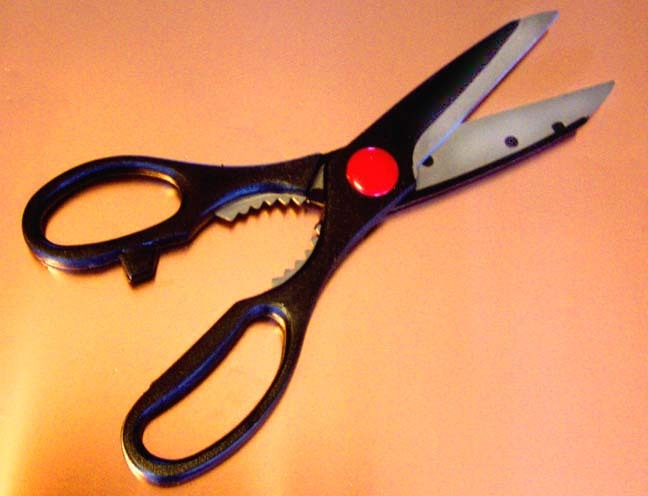 Work in thin foil can easily be cut and trimmed with a scissors or utility knife in preparation for mounting or framing. As a piece is worked it will become stiffer. High relief that may be easily dented was traditionally filled with plaster or pitch from the back. A nice modern substitute is hot melt glue. Even Wax will work if it is not placed in the sun or a hot place. Acrylic paint poured thickly or in several layers on the back and allowed to dry for days works well and is a great way to use up scrap paint. 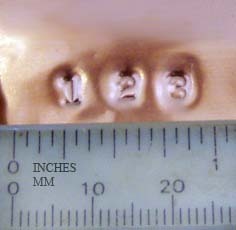 Stamping, punching and piercing are similar techniques in that they all involve striking a tool against the metal with a mallet or hammer. Stamping leaves only and impression while punching and piercing leave a hole. The most familiar manufactured stamps for metal are for impressing numbers and letters. With a little searching, tools that will create many shapes and designs can easily be improvised from objects around the home or garage. Early American lanterns, boxes and pie safes had intricate stamped and pierced designs created using only a screw driver and awl. Again, experimentation will yield a wealth of possibilities. Rub-transferring is a great way to add a texture or an image to the tooling metal. 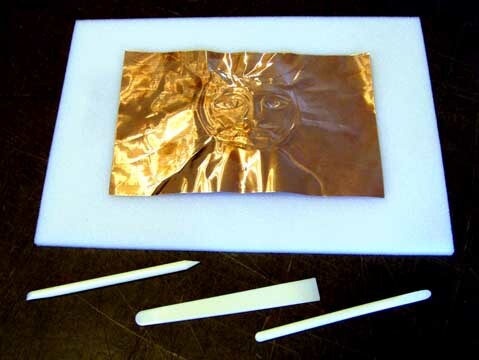 For example the image of a coin placed under the copper sheet can be transferred by rubbing or burnishing the metal over the coin with a rounded tool (the pen cap works well here as well). Raised images and textures can be found everywhere around the house and in nature. The amount of pressure required to obtain a successful transfer will depend on the fineness of the individual image or texture that you are transferring. 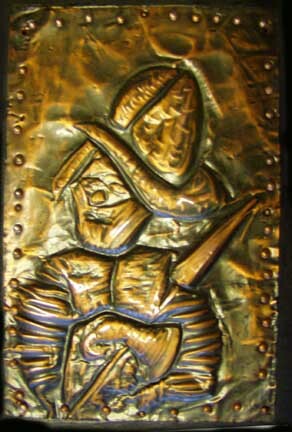 Many crafters create original drawings trace and and emboss it into the metal. But designs and textures can be rubbed from many ready available things. We have heard of rubbing a rubber stamp design or leaves & plants placed underneath. Even a silhouette cut out of tag board can be transferred. Or a photo can easily be traced with a pointy stylus by placing it atop a tooling metal with a pad below. Then detail can be added to the picture afterwards with other tools and transferred textures by rubbing the metal atop textures such as burlap or sandpaper. Folding is another possibility for creating lines or creases in tooling metal. 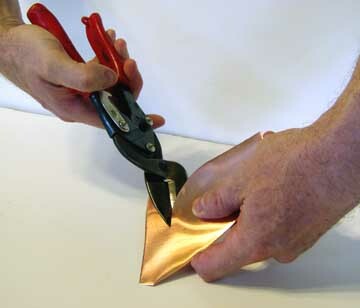 It is possible to recreate simpler origami designs in copper foil. Sharp creases or folds have to be rubbed, hammered or burnished along the fold. Hammering or Repousse (pronounced rep-o-zay) is the process of repeatedly denting the metal with a dome shaped hammer from the back in order to created a shape in high relief. 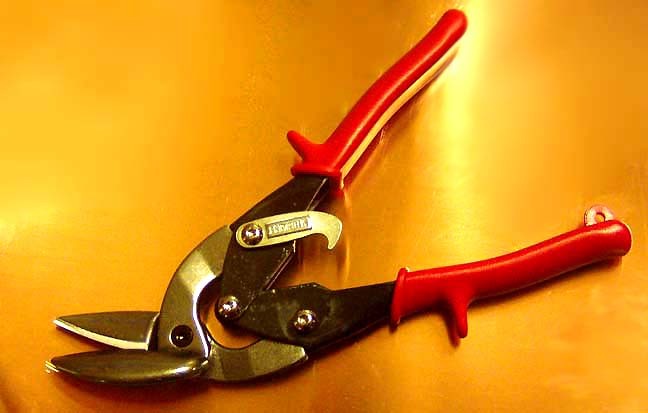 Hammering can be used to some degree on thinner metal but care has to be taken as too much working makes the metal hard , brittle and likely to perforate. The pebble-like texture from repeated hammer blows can be burnished out by forcefully rubbing it with a hard rounded object. A small wooden ball or knob works well. Thicker metal is used on larger pieces and can withstand a lot of hammering. 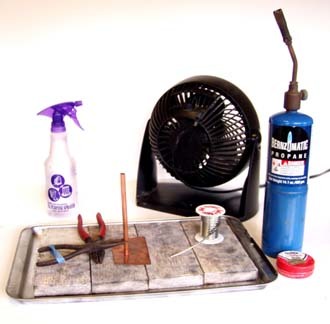 Once the thick metal becomes brittle, it is heated to red hot and quenched (this is called annealing). The statue of liberty is one of the most famous examples of this and is comprised of many French Repousse components riveted to a steel frame. 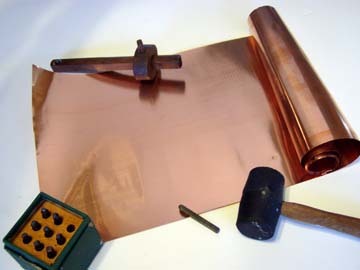 1) place tooling metal on a pad or stack of news papers. 3) remove pattern and turn over the metal on pad. 4) Raise inside the design starting from the edge and working inward. This stretches the metal out from the back. Best done with rounded blunt tools, then use whatever tool gives the texture desired. 5) Turn metal over again and flatten background down by starting with the edge of the design working outwards. 6) Mount, frame and finish piece as you wish. PLEASE USE CAUTION when using raw metal especially around children. The sharp edges can cut . (much as a paper cut) Wearing gloves will reduce cuts. We do not sanction the use of these metals with children. By nature these metals could not be offered any other way.The metals are created & packaged for adult crafts persons and not sold as "kids safe". 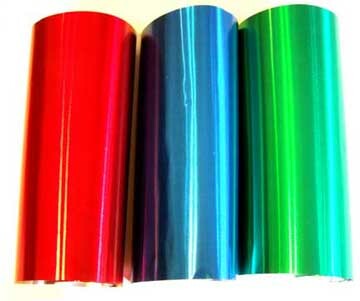 If you have doubts please use heavy household foil, which although is several times thinner than our foil is inexpensive and safer. Gauges listed are AWG average wire gauge and are approximate to gauge size stated (within a few hundredths of an inch) Our metals are sold only for decorative craft work; They are not tested nor certified safe for electrical nor electronic uses, nor home construction nor internal consumption, and they are not certified for food service. These metals may have sharp edges and are not for use by children.Samples are listed with approximate sizes and may vary slightly larger or smaller. Samples are non retunable. Prices and available stock subject to change without notice. Orders from old cashed pages of our website will not be processed. Prices and shipping is for USA delivery only. Please refresh pages to see current pricing and availability. Bulk Metal : Our cut to length bulk hobby & craft metals provides what is needed at a good value. Our cuts of art metal are generously long & approximately square. Metal by the running foot or yard is shipped in one length whenever possible. We use this metal to craft our own creations. Tooling metal is shipped in a roll. If necessary ripples or curves can be flattened by rolling it with a smooth rolling pin or plastic pipe section on a completely smooth surface such as a countertop or glass table. Our tooling metals are shipped in a protective tube which works as a roller for smoothing too.